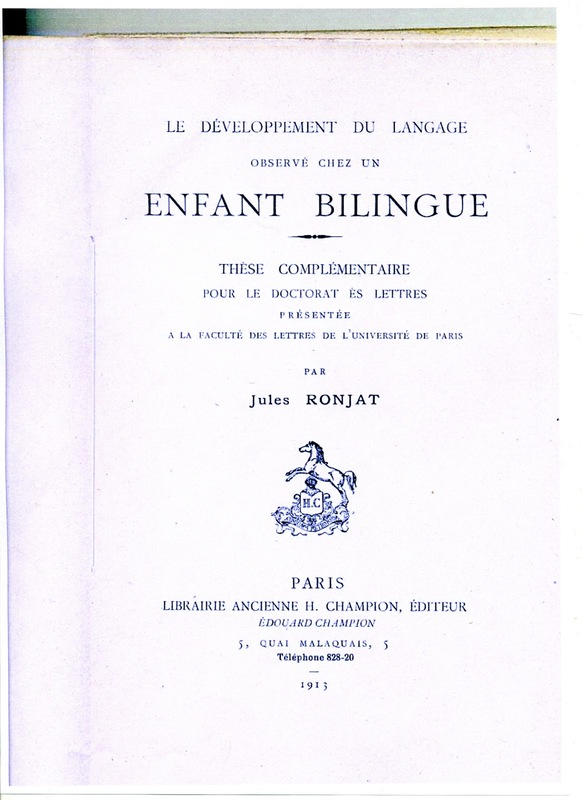 In the course of 2013, this blog drew attention several times to the fact that it was the centennial of the publication of Le développement du langage observé chez un enfant bilingue (Language Development As Observed In a Bilingual child) by the French linguist Jules Ronjat. The book sheds light on the fundamental human ability or abilities that make the mental operations of translating possible. "What it is – to paraphrase a well-known linguist – that enables little children to translate so much with so little example or instruction. In 2013 it was just a century since Ronjat first noticed it and published his observations of his bilingual son." Ronjat's observations were a classic example of serendipity. 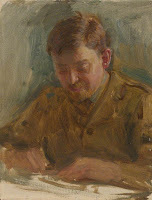 He had set out to study not the development of translating but of phonetics and phonology. His greatest merit was to recognise the interest of his observations and to preserve them. One hundred years later, still only a handful of researchers and theorists recognise their significance. I wish I'd met him. Meanwhile there used to be a snag about recommending Ronjat's book. It had long been out of print and could only be found in a few libraries. My attempt to find a publisher who would reprint it failed. I was, however, barking up the wrong tree, because now comes great news from a reader of this blog named (or pseudonymed) Aaro. It's that there's an electronic facsimile already available on a website of the University of Toronto. From there it can be downloaded free in a variety of formats. The site is called The Internet Archive. You can get directly to the page announcing the Ronjat by clicking here. The scanning was sponsored by the University of Ottawa. There are other papers on the topic at academia.edu. Click here. Since I'm writing this during the night of December 31 to January 1, you can regard it as either the last post of 2013 or the first of 2014. But in either case, it has particular significance for me, because, by pure coincidence, it's the 300th post to this blog. Not that I've counted them; Blogspot does that for me. I'm surprised myself that I've made it this far. Anyway, it's a moment to draw a line and think about how to continue. In the past year, Old Age has caught up with me with a thud. Physically more than mentally, so that few of you are aware of it. No complaint; at 84 I've had, as they say, 'a good run for my money.' But I need to slow down. I've noticed other blogs disappearing or remaining in a state of suspended animation, still displaying last year's news on fossilised pages. There must be as much blog debris whirling around us as there is space debris. The cause of it is usually blogger fatigue. So please be patient if I blog less often. Yet I can't put Unprofessional Translation to sleep. Not yet. Its missionary purpose is still unfulfilled. True, some things have taken a turn for the better since the days when I started it. In 2009, the child language brokering field was already well studied in the United States. Since then, in academic circles, the advent of the conferences on Non-Professional Interpreting and Translation has made at least a dent in the age-old assumption that only Expert Translation is worth discussion. For the general public, Found in Translation, published in 2013, has made a notable contribution to awareness of the scope of translation both in time and in place. What continues to be most lacking is interest in the fundamental human ability or abilities that make the mental operations of translating possible. What it is – to paraphrase a well-known linguist – that enables little children to translate so much with so little example or instruction. In 2013 it was just a century since the French linguist Jules Ronjat first noticed it and published his observations of his bilingual son. The other publication of 2013 that most impressed me as a researcher, though it's not directly about translating, was an interview with the father of the Higgs boson, Peter Higgs. Very anti-establishment. You can find it here. Hope you'll stay with me.